You are here: Home / Jewelry / Earrings / Treat yo’self: easy, breezey, blue under $90. Treat yo’self: easy, breezey, blue under $90. Everything in this week’s Friday 3 less is than $100, is distinctly blue-toned, and would be dreamy with a sundress. 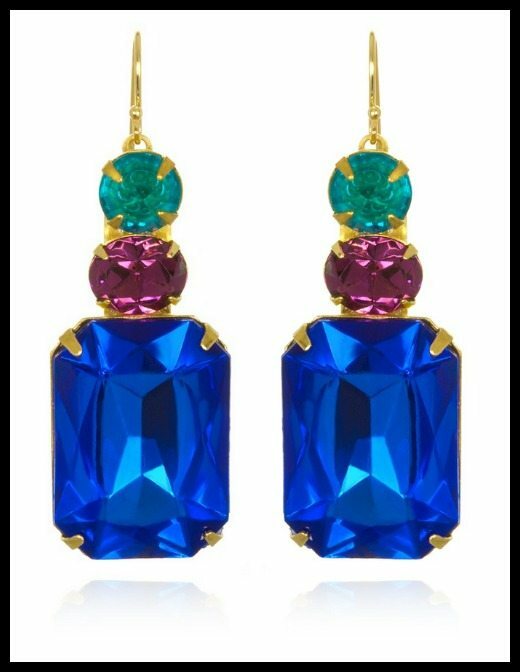 Sandy Hyun hanging jewel earrings in crystal and lucite ($84). 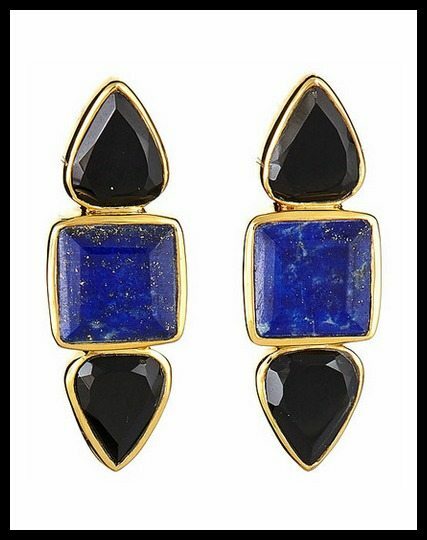 Margaret Elizabeth The Hydra earrings, with lapis and black onyx ($88). 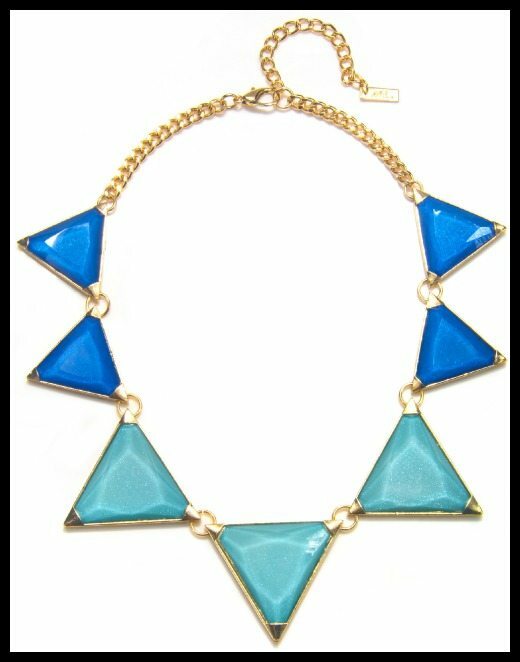 Piper Strand gold-plated Aztec Blue triangle necklace ($60). All images and info in post is thanks to the seller of each individual item. Please see descriptions above for links to original listings. Blue is so groovy, isn’t it? Lovely choices, especially those earrings with lapis lazuli. Thanks! I think those are my favorite, too. I’ve been really into lapis lately and I love the color contrast.